If you have clicked into this blogpost then the chances that you own a Samsung Galaxy S4 or planning to own one is extremely high. If you are buying a high end device like the Samsung Galaxy S4 then it's best that you have some high grade phone casings to keep it in check. So if you don't want something like the above to happen it is best to get ready for the worse case scenario or in this context, finding the best case possible. So when we speak of proper, strong and somwhat cool looking casings one can only think of Otterbox as a first thought simply because they are established as the top class bodyguards for your phones lor. For the actively sometimes overly crazy users, you can pick the defender series as they are built to withstand some crazy drops and gung ho jumps. absorbing impact and ultimately preventing from any unpleasant scars to your newly acquired darling. So if you are that guy/girl who just likes to whip out your smartphone at will anytime and occasionally drops it on the floor or someones head then the Defender series is going to be a good bodyguard for your phone. The younger and slimmer version of the commuter series brings a lightweight casing and turns it to a sturdy protector, strong yet flexible. The commuter series is actually pretty light as compared to the defender class and provides more or less the same protection against scratches and low drops. 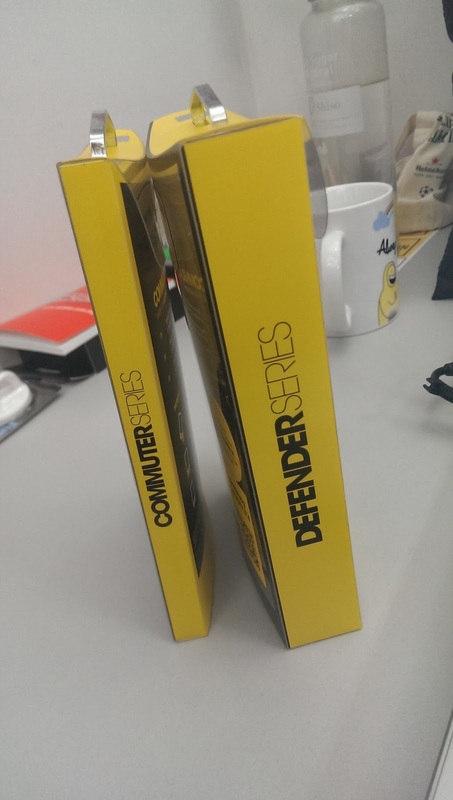 The lack of multi-layered protections makes it a little bit weaker against drops but still serves it's purpose as an all round protection casing so if your want something more flashy and light the commuter series is a good buy and long lasting investment.